Helga Hofmann van der Merwe began with piano and violin lessons at the age of 9 and 10 respectively, but violin soon became a firm favourite. While still at school, she appeared twice on the UNISA Roll of Honour for Outstanding Achievement in Violin. From an early age, she played in ensemble groups and joined the USSO (University of Stellenbosch Symphony Orchestra) at the age of 13. She studied under Professor Jack de Wet and obtained a Bachelor’s Degree in Music at the university of Stellenbosch, majoring in Orchestral Studies and Chamber Music. 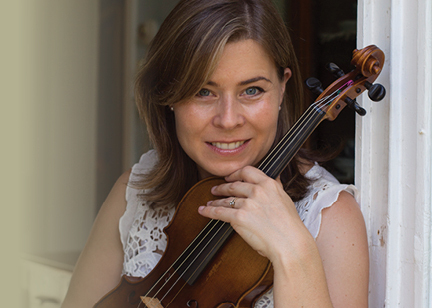 During her time as a student, she was an ad hoc member of the National Chamber Orchestra. Helga was the principal violinist of ‘Asylum Letters String Quintet’ and later joined the Afro-Jazz Band ‘TRACE’, gaining experience in the freedom and creativeness that the jazz medium has to offer. She also regularly plays at weddings and corporate functions. 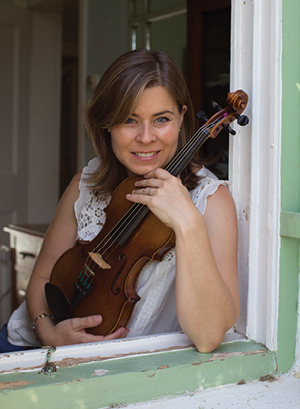 A keen violin, ensemble and string orchestra teacher, Helga began her teaching career at Herschel Girls’ School in Cape Town, where she taught from 2000 to 2007. Between 2004 and 2007 she also taught part-time at both Eikestad Primary and the Kayamandi Trust Centre in Stellenbosch, as well as privately. Since 2008 she has been teaching at the Johnman Music Centre and she also joined the Somerset College Music teaching staff in 2016.